More than 72,300 Americans died last year as a result of drug overdoses, a 10 percent increase over 2016 and a new national high, according to estimates from the Centers for Disease Control and Prevention. The opioid epidemic is at the center of the overdose crisis, with heroin, prescription painkillers, and synthetic opioids accounting for most of the overdose deaths in 2017. Overdose deaths from fentanyl, the increasingly popular synthetic opioid that can be 50 times stronger than heroin, went up in 2017, while those attributed to heroin and prescription opioids dropped. The numbers are on the rise for two primary reasons, according to the New York Times: More people are using opioids and the drugs are stronger. Unexpected combinations of those drugs can overwhelm even experienced drug users. 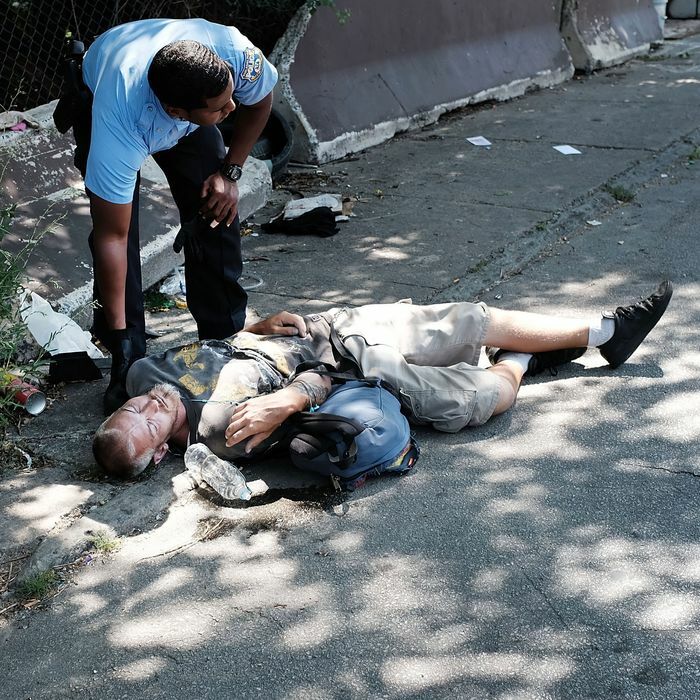 In some places, the type of synthetic drugs mixed into heroin changes often, increasing the risk for users. While the opioid epidemic was originally concentrated in rural, white populations, the death toll is becoming more widespread. Deaths from the opioid crisis have long outpaced those from other high-profile epidemics in U.S. history. At its deadliest, the HIV crisis killed 43,000 people in 1995, while car crashes killed 55,000 in 1972, the deadliest year on record.